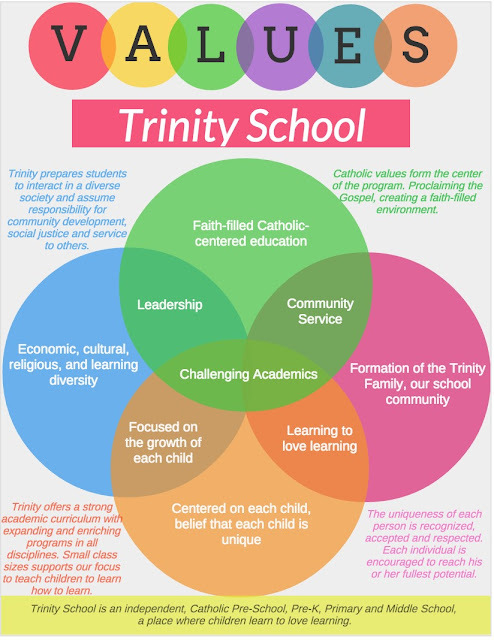 Trinity School is accredited through AIMS (Association of Independent Maryland Schools). During the 2014-2015 school year the faculty and staff prepared for the upcoming re-accreditation of the school. This is a process that takes place every 10 years. The preparation consists of a self study of all aspects of the school by the faculty and staff. The School Philosophy Committee developed the Trinity School Core Values.